The Honda S2000 roadster has been around for several years and has definitely made quite a reputation for itself. With classic sport looks, a very comfortable interior and plenty power under the hood it is no wonder that the Honda S2000 continues to shine. 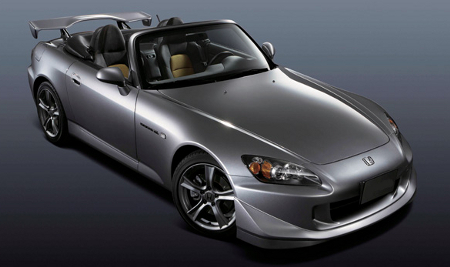 The Honda S2000 offers 3 trims for the 2009 model. This includes the Honda S2000, Honda CR S2000 with air and the Honda CR S2000 without air. It should be noted that all trim levels include the same engine and performance. As stated above all trims have the same engine a 4 cylinder 2.2 liter VTEC that delivers a powerful 237 horsepower and some decent gas mileage at 25 miles per gallon on the highway and 18 in the city. In addition, the roadster driving experience is enhanced with rear wheel drive and a 6 speed manual transmission. The S2000 has a comfortable interior with pretty much all a driver needs to be comfortable and safe. The S2000 ranges in price from $35K to 38K.